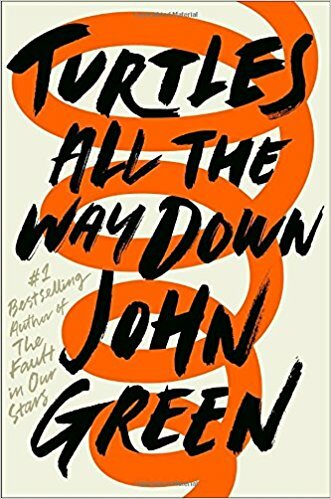 Since publishing his first book, Looking For Alaska, a little over a decade ago, award-winning author John Green, has gone onto publish some amazing books, including Paper Towns, The Fault in Our Stars, and his most recent book Turtles All the Way Down. Turtles All the Way Down is Green’s first book since The Fault in Our Stars which was written six years ago, and just like his other books, Turtles All the Way Down is amazingly unique and unlike any other young adult novel out there. Aza Holmes isn’t exactly your average sixteen-year-old girl, and Davis Pickett isn’t exactly your average guy. Aza Holmes is a good friend, a good student, a good daughter, and a good detective, but living within the ever-tightening spiral that is her thoughts, doesn’t make that easy for her. Davis Pickett is the “rich kid” and the son of the fugitive billionaire Russell Picket. With a hundred-thousand-dollar reward on the line, Aza and her “Best and Most Fearless Friend” Daisy investigate the billionaire’s disappearance. Along the way Aza and Davis are brought closer together, but will Aza choose to respect Davis’s wishes or the hundred-thousand dollar reward? I discovered the book Turtles All the Way Down, last year before Christmas break. I was on the hunt for a book that I thought would be good to ask for, for Christmas, and since I’ve read two of John Green’s other books, when I found out that he had published a new book, I knew that I had to give it a read. When I got Turtles All the Way Down on Christmas Eve, I immediately started reading it and it was one of those books that once I started it, I didn’t want to put it down. This book allows readers to get a glimpse of the struggles that people who live with a mental illness, go through on a daily basis. It also has the typical high school love story going on, but with a major twist. Just the overall plot and storyline of this book is amazing, and I would recommend it to anyone. This book has sold thousands, if not millions of copies since it was first published back in October. Many people liked the book, because it’s different yet relatable all at once. I absolutely loved this book and I will probably be reading it again. If you like reading about mystery, drama, the power of friendship, the effects of mental illness and love, then this is definitely the book to read. If you’re interested in purchasing Turtles All the Way Down, it is available at Barnes and Noble and on Amazon.